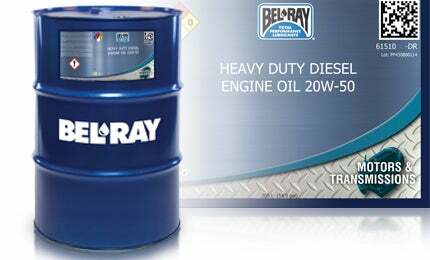 Heavy Duty Diesel Engine Oil, commonly known as Bel-Ray 21st Century Motor Oil, is a high performance motor oil for heavy-duty diesel and gasoline engines. It’s formulated to meet or exceed the performance requirements of many of today’s off-highway engines. The extreme pressure capabilities of heavy duty diesel engine oil reduces wear significantly, extending the life of rings, liners and main bearings. It provides superior soot handling and acid neutralisation capabilities, making it suitable for modern diesel engines fitted with EGR systems, or in areas of the world where fuel sulfur levels vary significantly. Heavy Duty Diesel Engine Oil will extend drain intervals and component life significantly, reducing engine oil related costs.